This very brief post provides a small update on a continuing story that has been covered throughout here in Financial Regulation Matters. Tesco has been in the news a lot recently, whether that be on account of aiming to move into the ‘discount supermarket’ marketplace, or on account of a massive amount of job losses as the company goes through a restructuring process, both on the shop floor and across management. However, our focus today will be on providing an update to the ongoing attempted takeover of the wholesale firm Booker. The proposed takeover of Bookers has been a protracted one, and although the deal has been given the go-ahead, slightly controversially, from competition regulators, there are still a number of hurdles to clear before the deal can be completed. Whilst the approval from the competition regulator was a major hurdle, getting everybody on side is perhaps the largest hurdle and, in that sense, the deal still has some way to go before it can cross the finish line. This was demonstrated towards the end of last week when the advisory firm Institutional Shareholder Services (ISS) advised Booker shareholders to reject the deal as it is being proposed, on account of there being, in their view, ‘limited potential benefit’ for them as Booker shareholders, ultimately concluding that the deal should be rejected in its current form. This development follows Sandall Asset Management, who themselves hold 1.75% on Booker, also declaring that they are against the current deal, at least in its current form. 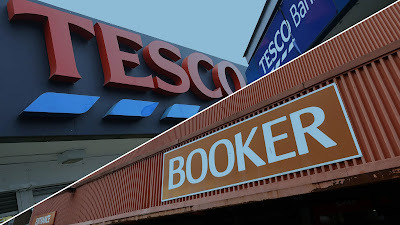 For them, they believe that the deal undervalues Booker significantly, with their claim being that the company is worth between 255 and 265p per share, not the 205.3p currently on offer from Tesco. To resolve the issue, Sandall Asset Management are calling for the firm’s 2018 profits to be paid out, in full, as part of a closing dividend to its shareholders to account for the envisioned loss; whether or not this becomes a reality is another matter entirely – Tesco is currently only offering 65% of 2018’s profits as a closing dividend. What this saga does show is the precarious nature of a corporate takeover, and the many elements which must be in place before the takeover is completed. What is likely going to be the case is that Tesco raises their offer ever so slightly, with the offer then being just enough to tempt doubters into taking what they can get over and above what has already been suggested. However, it is worth paying close attention to developments within Tesco in the coming months and years, because their restructuring that was designed to right some of the wrongs committed under previous leaderships i.e. an aggressive global expansion that did not have the desired effects, is well under way and will see the famous store repositioned within the marketplace. If we add to that the effects of the U.K.’s secession from the European Union and the effect that may have upon consumer spending, how Tesco negotiates these choppy waters may determine its future for quite some time. Keywords: Tesco, Booker, Competition, Takeover, Business, Brexit, Shareholders, Investing, @finregmatters.